Twenty two years after the 1848 fire, the unthinkable happened. The village still did not have a fire department. At about 3:00 A.M., A.W. Horton mounted a horse and galloped off to Seville to borrow their hand engine and rouse volunteers. In the meantime, the townspeople resorted to a bucket-brigade to fight the fire. When the fire finally burned itself out the next morning, practically the entire business district around the square was destroyed — 45 buildings including barns and stables. 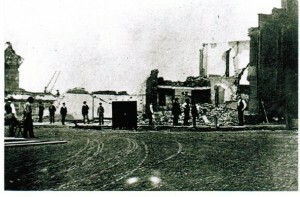 The photograph above shows the southwest corner of Public Square and the charred remains of H.G. Blake’s three-story brick building. The square black object in the middle of the street is a safe. Blake had started a bank in the back room of his Phoenix Store and the safe was the only item to survive the fire. The following morning, business owners absorbed the shock and regrouped. Fortunately, this time many did have insurance and they quickly began to rebuild. The “1881 History” goes on to say, “So far as adding to the beauty of the town, the great fire, like that of Chicago, was beneficial, inasmuch as it was the means of building up a much better class of buildings than are generally found in a town the size of Medina.” Within a decade Public Square was filled with handsome Victorian buildings, some featuring ornate brickwork and ornamental cornices. No two buildings were exactly alike, but all were of a uniform architectural style. The photo above shows the south side of the square with H.G. Blake’s new Phoenix Block at the far right. 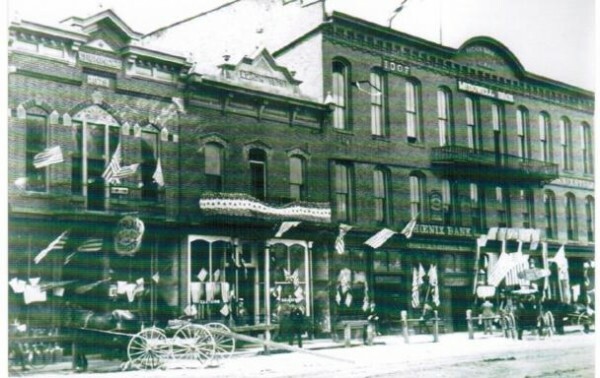 It housed a bank (now substantially expanded from the safe in the back room of his store), a drugstore, law offices and a large public auditorium on the third floor. It took the outbreak of a third fire — a small one in 1877 — to finally convince the townspeople to create a fire department. 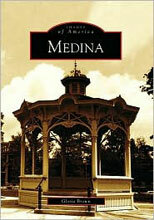 In the meantime, the elegant Victorian buildings have survived intact, and thanks to a nationally-lauded restoration in the late 1960’s and early 1970’s, continue to make Medina’s Public Square a showplace of Victorian architecture. This may not be the best place to ask this, but, I’m looking for an investment advisor that was my parents’ fiduciary. I’m really frustrated over this at the moment because I want to work with the same agent I am having trouble locating them in any of the local directories online. Carlton Financial Group – 106 Mission Ct #701 Franklin, TN 37067 phone (615) 794-2536 Can someone recommend a way that is free to find this company?